Valentine’s Day is a great time to get students thinking critically about a complex human emotion. I have to admit that my reaction to Valentine’s Day is often expressed in one word: ugh. But completely ignoring a holiday that is clearly here to stay isn’t much of an option. Even if I bury my head in the sand for the entire 24 hours between February 13th and 15th, my students will still be inundated with messages about love. So if I’m not actively working to combat those ideas—that love is about buying roses or chocolate or diamond rings, or that the only kind of love that matters is romantic love between a male and a female, or that if you could just find a boyfriend, everything else in your life would be magically fixed—then I’m passively supporting them. Just like anything else that happens in their lives, Valentine’s Day is an opportunity to teach our students to think critically—about the messages they see in mass media, about the many different ways to think about love, and ultimately about their own assumptions. Get students to read about familial love. This may not seem so revolutionary, until you realize that if your students have spent any time watching mainstream movies, they have been inundated with the idea that love equals romantic love. Getting them to think about love as existing in many different places is a great way to get them thinking critically about the messages they get about love from popular culture. Assign some reading about love between brothers or a mother and a daughter. “Fish Cheeks,” by Amy Tan, which is about a daughter realizing the ways that her mother shows her love, is one of my all-time favorite personal essays. I also love the short stories “A Worn Path,” by Eudora Welty, which is about a grandmother’s dedication to her sick grandson, and “I Stand Here Ironing” by Tillie Olson, which deals with a mother’s fierce love and also regret. Compare two poems about love. My favorites for love poetry include Shakespeare’s sonnets—all of them, but if I had to pick one, it’d be 73 (“That time of year thou mayst in me behold”). I also suggest Edna St. Vincent Millay’s “Love Is Not All” and Elizabeth Bishop’s “One Art.” Now that I look at this list, it’s a pretty sad one, and yet I think that there is plenty of sadness in love, and that sadness isn't always all bad. Again, getting students to think about the dark side of love—the loss, the struggle, the pain—only serves to give them a deeper understanding of this complicated emotion. Get students writing about their own lives. When they have been given the message that love is all about grand gestures (a new car in the driveway wrapped up in a bow or a boy standing outside your window holding a boombox), your students might miss those little moments in their lives when people have shown them love. But getting them to reflect on and write through their experiences is a great way to get them to remember, appreciate, and be grateful for those times. Analyze some visuals. This might mean that you look together at some advertisements that utilize the universal desire for love to sell something. It could also mean that you lighten it up (a little) by examining comics together. The New Yorker has some classics, of course. Getting students to examine and question the messages they’re getting about love from popular culture is the best way to help them distinguish their own beliefs from those of Madison Avenue. Discuss, discuss, and then discuss some more. When dealing with a topic like love, it’s important for students to understand that there may be many right answers to a question, and sometimes there isn’t one at all. By listening to others and carefully considering their ideas, students will learn that formulating opinions takes time and isn’t something that should happen as a knee-jerk reaction or quick assumption. 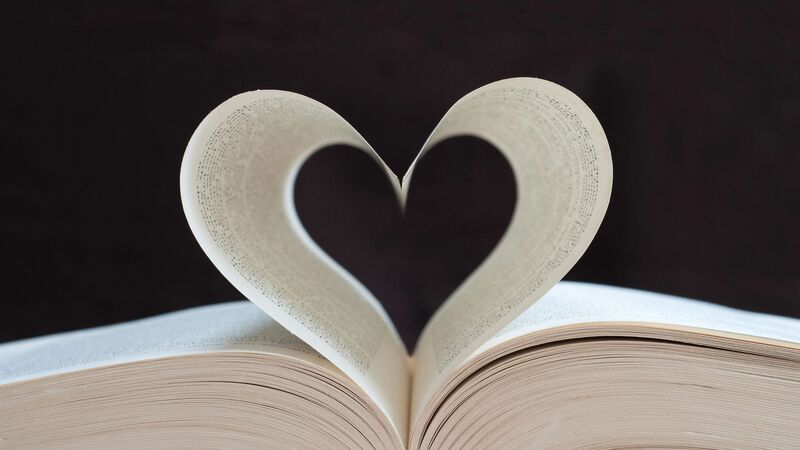 Questions like “Are love stories more powerful when we know that the lovers are doomed?” or “Do you believe in love at first sight?” or “Why do we often hurt the people we love the most?” get students to think deeper on a topic they often take for granted. Ultimately, by working with students to think critically, question everything, and work together to understand this world we live in, I am also working to clarify my own ideas. Maybe that even means that I’ll change my mind about Valentine’s Day. We’ll see.